Get ready for exciting stunt and story play with this Florida Pit Stop race set. 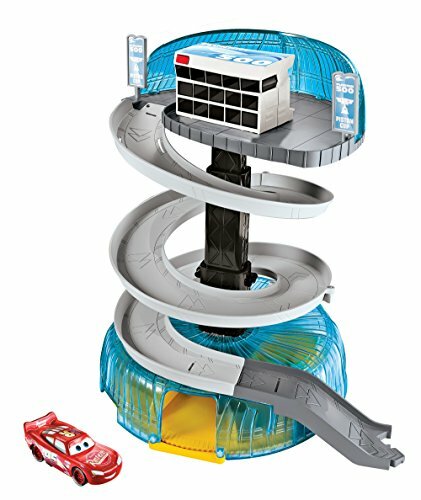 Modeled after the iconic competition site in Disney/Pixar Cars 3, it features dual prep areas, transformation to side by side racing, and a new, plastic Lightning McQueen vehicle to kick the action into gear right out of the pack. Drive into the pit area, get your wheels serviced to the max, and then launch your cars out and into racing action. The Florida pit stop also connects to other Cars movies' Story Sets to keep the realistic racing fun going and going! Other sets sold separately, subject to availability. 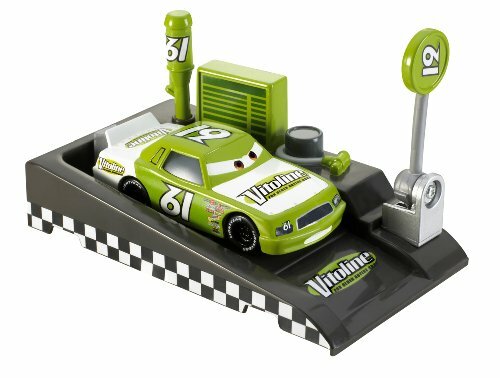 Collect your favorites from the cast of CARS with these approximately 1:55 scale (Hot Wheels size) die-cast action-sized vehicles! Collectors are scooping these up and some are getting very hard to find! Lock in now! Mack spends endless days and sleepless nights crisscrossing the country. For some, this life would quickly grow old. But not for Mack. He knows how important his role is. He drives for Lightning McQueen, the world's fastest race car. He's part of the team, and everyone knows there's no "I" in team, just like there's no "I" in Mack. Boost your speed with this enchanting, Piston Cup Pit Stop themed launcher! 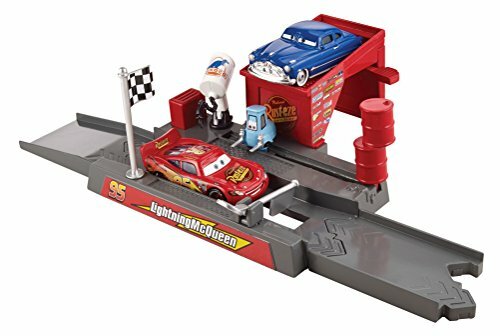 Inspired by a memorable moment and favorite destination in Disney/Pixar Cars, it features a roll through launcher, gate that can be raised or lowered to pause cars for a pit stop, plus a coaching box for Doc or other characters to pump Lightning McQueen up and literally jump up and down! When revved and ready, kids press the toolbox, Guido slides down the track and Lightning McQueen launches out of the set, knocking the barrels over! A flag spins around and a gas can swivels from side to side and up and down! Part of the Story Sets system, this action packed launcher connects to other play sets in the line, expands storytelling options and adventures. Works with most 1:55 scale die cast cars for exciting drive in and launch out play. Die cast cars and additional assortment launchers sold separately. Ages 3 and older. 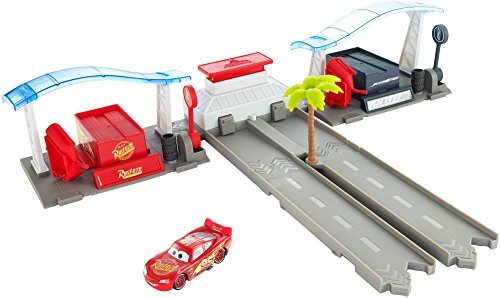 Triple your Disney/Pixar Cars 3 action with this Florida Speedway Garage! Its spiral ramp, expanding play areas and multi car storage case deliver before, during and after race fun! Just pull to expand the set high and then send the included Lightning McQueen vehicle racing down the ramp. It will speed through multiple spirals, aiming for the road. You can also connect the Florida Speedway set to have the champ race on to the film’s epic new course! This set is full of colorful, movie inspired details and authentic prep areas for inventive storytelling! 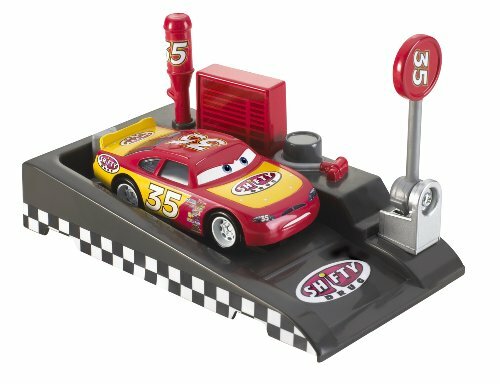 Recreate the climatic competition scenes from Cars 3 with the Florida Speedway Garage and Florida Speedway Race Set, together then use the ‘stow and go’ garage feature to store other vehicles inside and get ready for the next adventure. The Florida Speedway set is sold separately, subject to availability. Prepare for climatic Disney/Pixar Cars 3 race action with the Ultimate Florida Speedway! At an epic 5 feet long from end to end, this play set is loaded with exciting movie-inspired details! It features a motorized booster, themed play areas, a raised track for increased velocity, and a vehicle. The booster will propel vehicles around the track at thrilling speed. As each champ tries to gain the racing edge, use the diverter so they switch lanes! Other characters cheer from the stands as their favorite racers brave hairpin turns at high velocity! Flags pop up signaling a victory lap! Race your hardest and make it to the finish line first! This Ultimate Florida Speedway also connects to the Florida Speedway and the Spiral Garage sets to keep the Cars 3 action going and going! Other sets and vehicles sold separately, subject to availability. 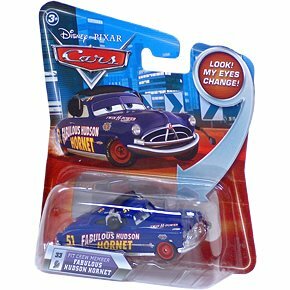 Fabules hudson hornet back and Guido´s pitstop from Cars movie. 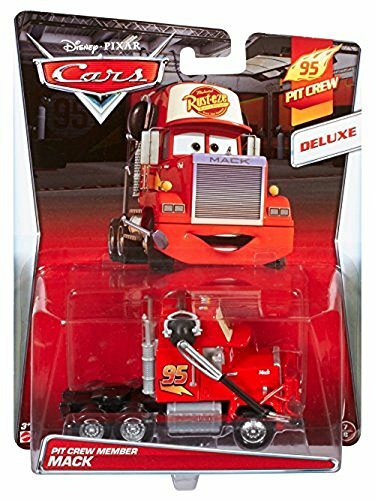 Want more Disney Pixar Cars Pit similar ideas? Try to explore these searches: Vidal Sassoon Hair Clips, Cream Small Teacup, and White Eyelet Curtains.